After the communication of the non-edition of the festival in 2019, we were overwhelmed with encouragement and proposals from many, to continue the “Ratatà” project. 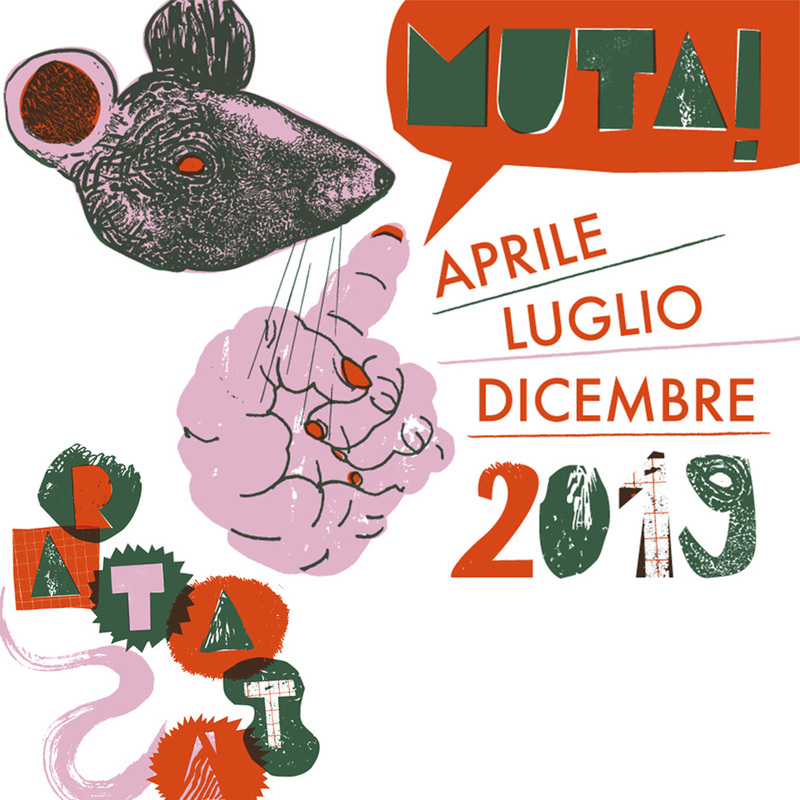 We have therefore decided, in collaboration with the Municipality of Macerata, to think of a biennial Ratatà program to return to April 2020 with the format that everyone knows. The 2019 edition will be MUTA, in the meaning of SILENT CHANGE, and will develop into a series of events distributed throughout the year, from April to December in which we will present top-level projects in preparation for the 2020 edition. The first appointment of Ratatà MUTA 2019 will be from 12 to 14 April, with two exhibitions and three workshops linked to the RiVolti and Bordar os Sonhos projects, by the art director and curator Monica Monachesi, the Brazilian artist Flavia Bomfim and the photographer Barbara Rigon, to the Ancient Forni of Macerata. On the evening of Friday 12 April, a party is scheduled at the CSA Sisma, with concerts and live sets being defined. Soon the complete program of this first MUTA stage! We thank you for the support you have shown us in these months and we look forward to many!